This module of the IMPOWER INDEX is a comprehensive tool for evaluating the outcomes and productivity of local authority Departments of Children’s Services. 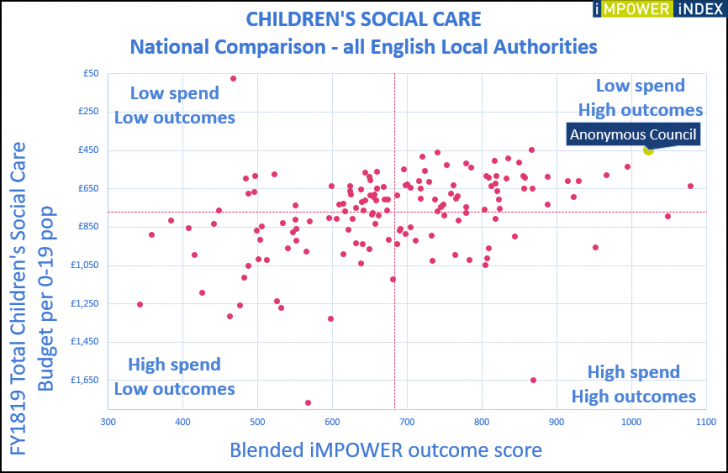 Looking beyond a simple headcount of the number of Looked After Children, it analyses demand for services and the flow through the children’s social care system. It also looks at partnerships and early help interventions that focus on keeping families together.